January was a tough year but we made it!... To all the lovely new student faces and to all of my students from last year who have returned to the mat, welcome and welcome back. It's been wonderful meeting you all and thank you for a fantastic start to the New Year for bracing the elements, even trenching through snow to attend yoga classes. As we began 2019, we set ourselves a Sankalpa, an intention of peacefulness for the year ahead. Each week we have returned to this intention through our practice and play with the yoga principles, the Yamas. Next week we will complete our Yamas Series. On Monday 18th February, join us for a special half term Yamas Yoga Flow + Restore Evening. 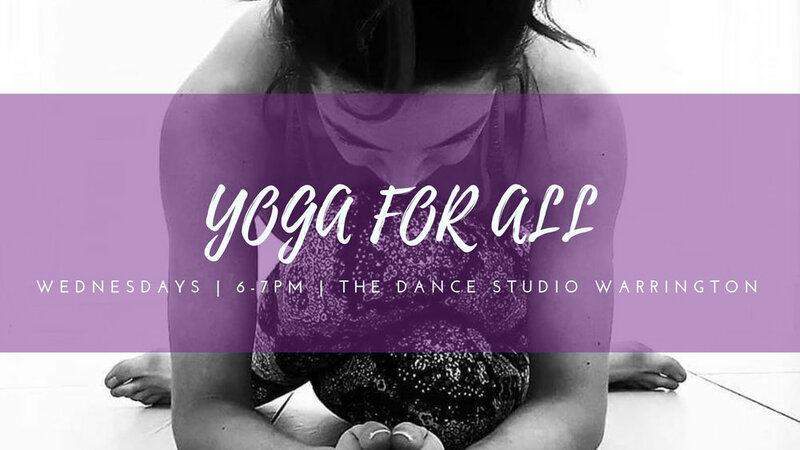 Come along for a 1 hour Breathe Flow Glow Yoga Class or a 1 hour Restorative Yoga Class or experience the strength and still of both as we explore each of the Yamas to end the term and enter the next. Spaces are very limited for the Restorative session, with only 2 spaces left. Find more information or book your space here. Please note that there will be no Yoga Classes on Wednesday 20th February and from the 27th February - 3rd March. 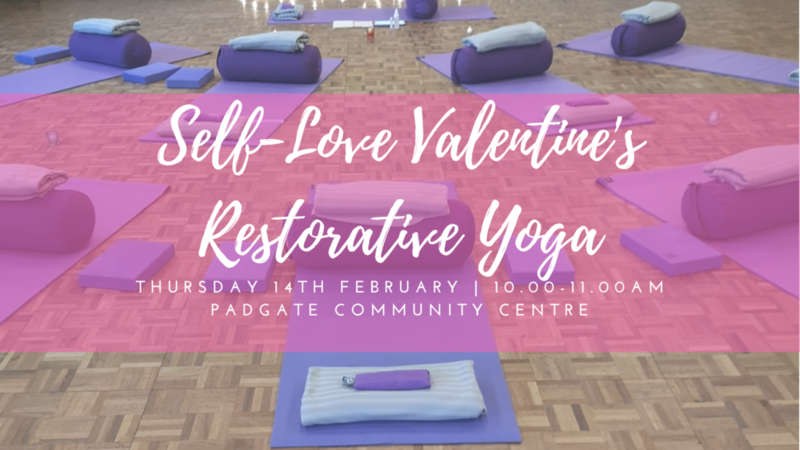 Restorative yoga classes take place every Thursday morning 10-11am at Padgate Community centre, next week our class falls on Valentine's day and we have a wonderful self-love heart chakra practice in store. 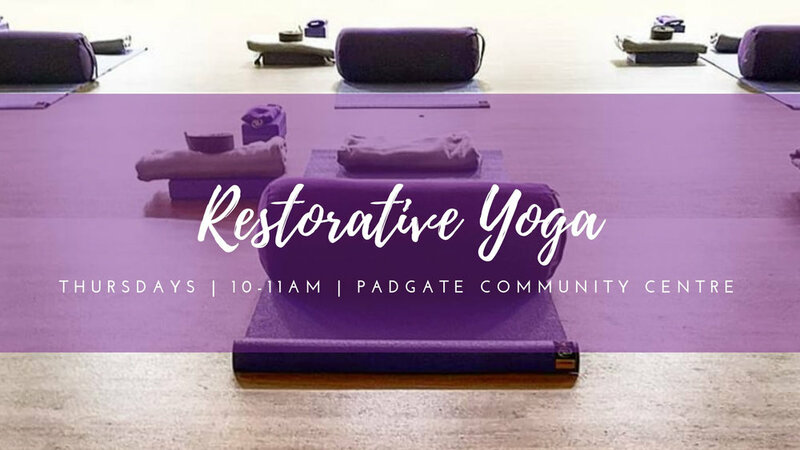 Join us for an hour of restorative yoga, relaxation, meditation for the heart chakra with rose essential oils and a herbal Pukka Love tea to finish. Click here to find out more or book your hour of self love. If you can't make it along to class, check out your Valentine's gift from me to you. Your Free Restorative yoga class guide for you to practice at home. Try these gorgeous heart focused restorative poses, for a moment of self care and after your restorative yoga sequence, why not nourish yourself with a bright pink inspired by love Energy Buzz Smoothie, sit and sip in stillness and serenity. If you have made it to a yoga class and you have enjoyed it, I would be grateful if you could help me by sharing one line on Google Review here or Facebook here, as it would really help others discover and try our yoga classes. Rise into the beginnings of Spring, a time to soften, shake of the snow, clear, grow, take some rest and nourish your soul. Check out the February class schedule here. Come along and enjoy an uplifting day at the Mind Body & Soul Event hosted by Spiritual Growth Development Class. I am delighted to be hosting a stall on the day, where you will find JK Yoga Scents & Spray’s, incense and information on group and private yoga classes in Warrington. Come by and say hello! "Self-Love is not selfish; you cannot truly love another until you know how to love yourself." 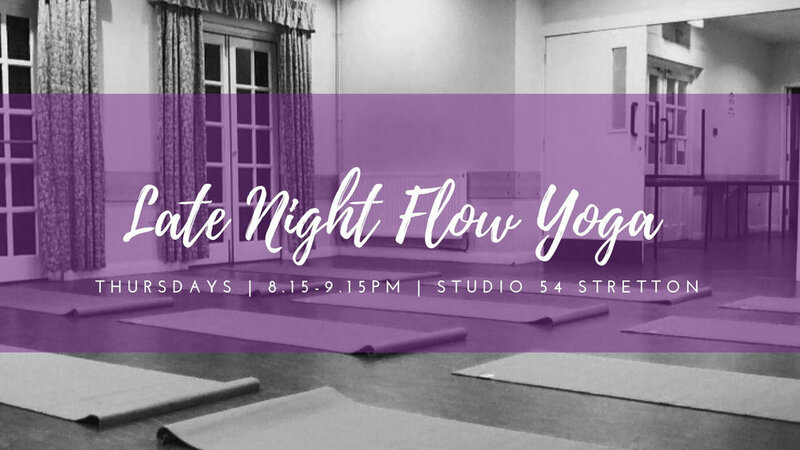 Join us for a special half-term Yoga Flow + Restore Evening. Bloom in to Spring. 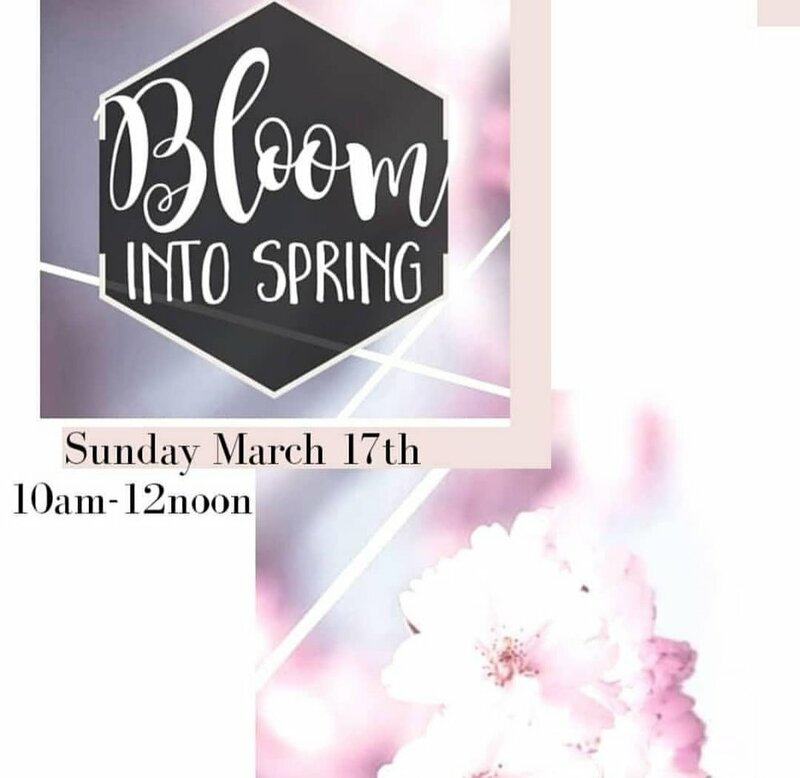 Celebrate the beginning of Spring and all the life it brings, in this special BLOOM & GLOW yoga workshop open to all levels. 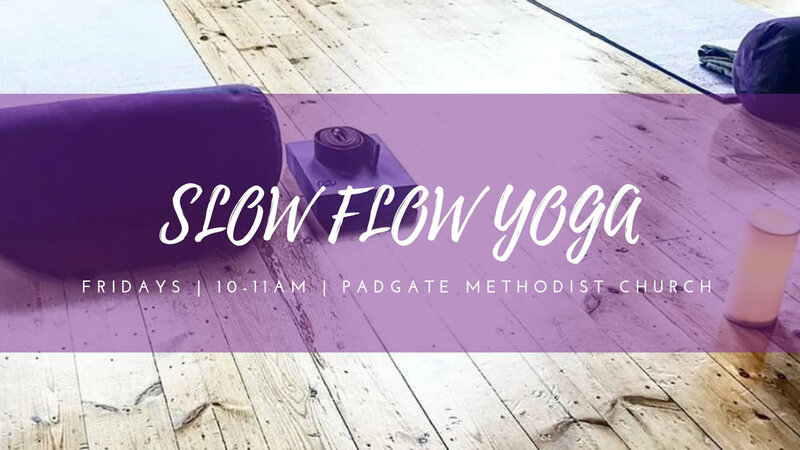 As we approach the Spring Equinox, come along to experience a powerful and restorative revinvigorating blend of pranayama, hatha flow, restorative yoga and deep relaxation to stimulate, balance and lift your energy. Wishing you a month full of compassion, truth, abundance, energy, love & peacefulness. Yeeeeey! I am so delighted you are here. This page contains everything you need to create your own Glow Restorative Yoga mini session at home right now. Prepare for a heart focused, grounded yoga practice, calming music, a love inspired smoothie and lots of self-love for Valentine’s. All you need to do now is read through your Glow at Home Restorative guide below and get ready for a lovely relaxed moment to yourself. Our Restorative yoga classes are one of the most tranquil and calming sessions in our week. This restorative practice is very different to our hatha flow style classes. In restorative, we focus in on slowing right down, grounding to the earth and tuning inwards. It’s a mindful meditation on your mat with the opportunity to completely restore the body mind. You will hold the postures for minutes at a time and rather then grasping or attaching to the postures, give yourself permission to let go of muscular tension and sink in, releasing as much effort as possible. Attune and focus entirely on your breath, helping you remain present within the moment as your body releases tension and noticing the minds thoughts with a sense of stillness. You can say restorative is the most advanced yoga practice, it is not always easy to bring the body to still. Notice when you want to leave the pose, if you want to fidget or the mind attempts to distract your calm. Allow it to happen, notice it, breathe into it and let the thoughts or sensations be on their way! Never feel pain within the pose, adapt where necessary. This practice has been designed without props as most you will not own a bolster or blocks but please use blankets and cushions for extra padding, warmth and bend the knees where needed to release the lower back. Sometimes it is welcoming to come into Savasana - corpse pose (see the final pose) in between postures to realign and reset the body and tune in to how you felt before entering the pose and how you feel when releasing out. Set a timer on your watch or phone so that you can relax into the postures and know when to move out, move out easily and gently. Press play on my Spotify February Yoga Playlist here or practice in complete silence. Enjoy! Bring your knees mat width apart, big toe’s together. Sit your hips down towards your heels, arms stretched out in-front. Release your forehead and heart center to the earth. Place padding underneath the hips or forehead if preferred. Lie on your back, bring both knees into your chest. Arms out to sides, shoulder height with palms facing up or down, your preference. Drop both knees over towards the left, gazing to the right if it’s comfortable on the neck or gaze up. Repeat the opposite side. Sit with one hip to a wall. Turn onto your back at the same time as bringing your legs up the wall. Shuffle yourself as close as possible to the wall, so your legs are straight. Rest your hands on your belly, by your side or overhead. If any pain in the lower back, bend the knees with soles of feet together. Lie down, legs out mat width apart, toes falling out to sides. Brings your arms away from your side, palms facing up, fingers naturally curl. Rock head side to side gently before coming back to center. Forehead slightly higher than your chin, allowing the frontal lobes of the brain to quiet. Breathe into your heart space. When you are ready to release from your relaxation, begin to deepen your breath, bring movement to the body and roll to your right side, taking a moment there before moving on with your day. Complete your practice with a nourishing bright pink inspired by love Energy Buzz Smoothie, sit and sip in stillness and serenity. I love smoothies. I am a bit of a breakfast smoothie addict! They are filling, nutrient packed and delicious. This bright pink smoothie is the perfect breakfast energizer, with an abundance of super foods for a boost of antioxidants. Veggie friendly. For a vegan alternative, omit the bee pollen. Made with Bananas, Rasberries and coconut milk, sipping this takes you right to the beach! Blended with flaxseeds, probiotic and a sprinkle of Buzz… Bee pollen will give you energy all day, rich in vitamins, minerals and protein. I’ll often make a double quantity and then store in the fridge for a quick after yoga class snack. What I love about Smoothies is that there’s not much to them, they are a very simple and easy way to intake a high amount of fruit & veg in our day and take less than 5 minutes. Place all ingredients into a blender, whizz until thick and smooth. Add extra plant milk or water to a consistency or your preference. Pour into glasses. Sprinkle with Buzz!… a little dash of bee pollen. Sip away to enjoy your delicious smoothie. Then leave me a comment in the comments box below or take a picture and tag me (@jenniferkerriskyoga) over on Instagram and let me know what you thought! I can’t wait to hear from you. I will be sharing this smoothie with you on our Spring Yoga Workshop this Spring. We will spend two hours of a Sunday morning with a revinvigorating blend of pranayama, hatha flow, restorative yoga, deep relaxation and finish with this gorgeous smoothie to stimulate, balance and lift your energy. Click here for more details of our Bloom & Glow workshop.